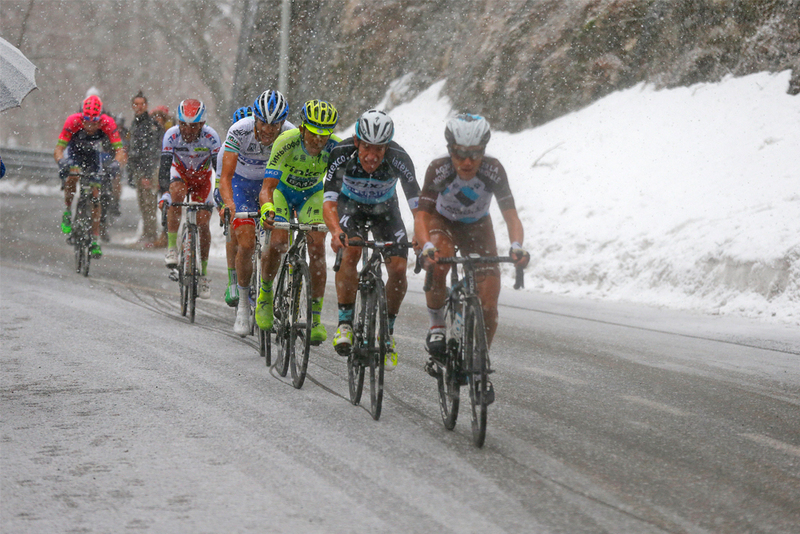 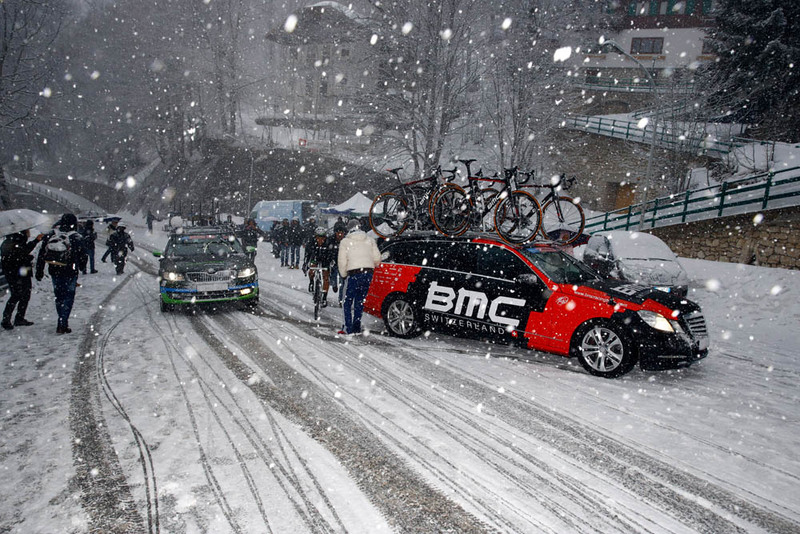 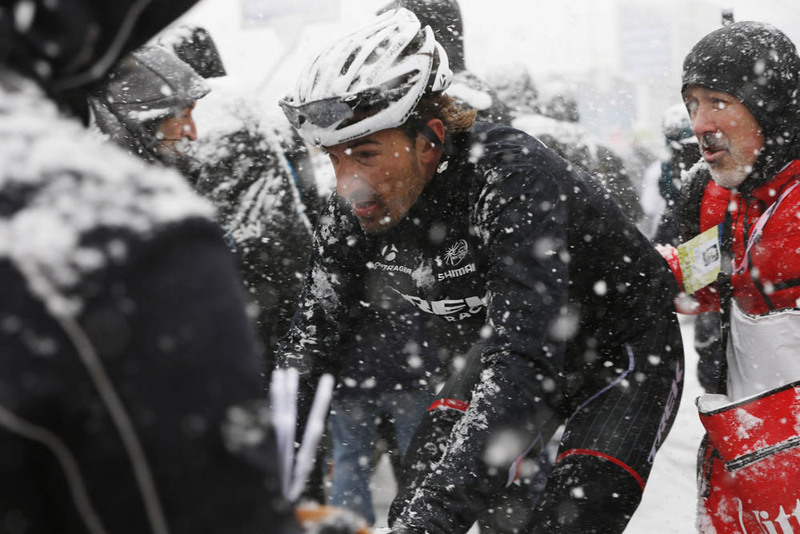 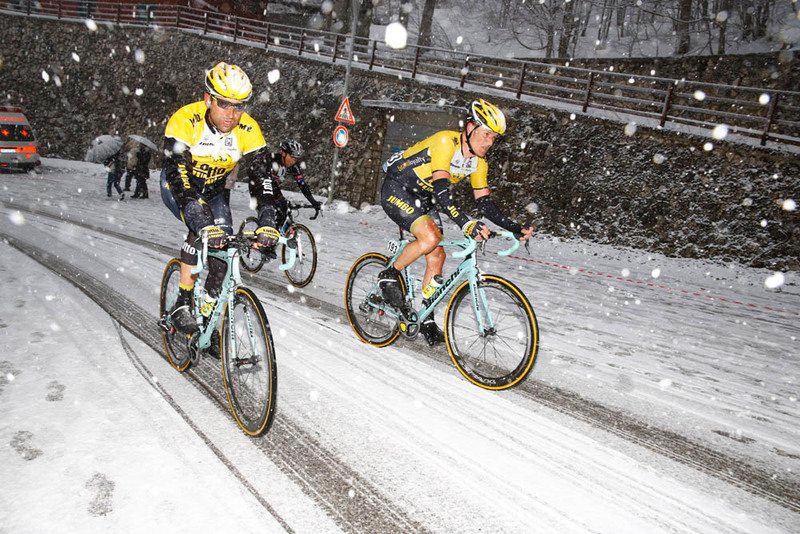 Variously described as ‘epic’, ‘tough’ and ‘gruelling’, the snowy scenes from Sunday’s Tirreno-Adriatico stage five will be an all-too-familiar one for many British and northern European riders. 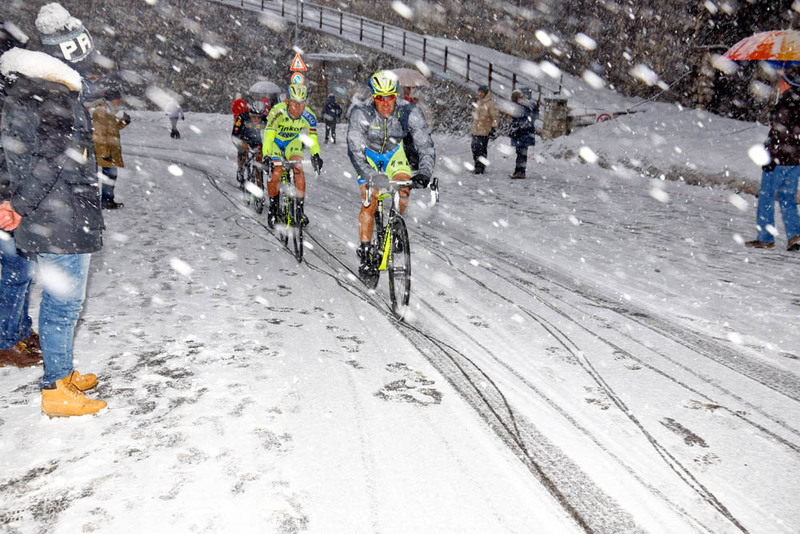 Colombian Nairo Quintana (Movistar) prevailed in the arctic conditions to take the stage win at the Monte Terminillo ski station – a name which should have given away the snowy conditions that awaited the riders. 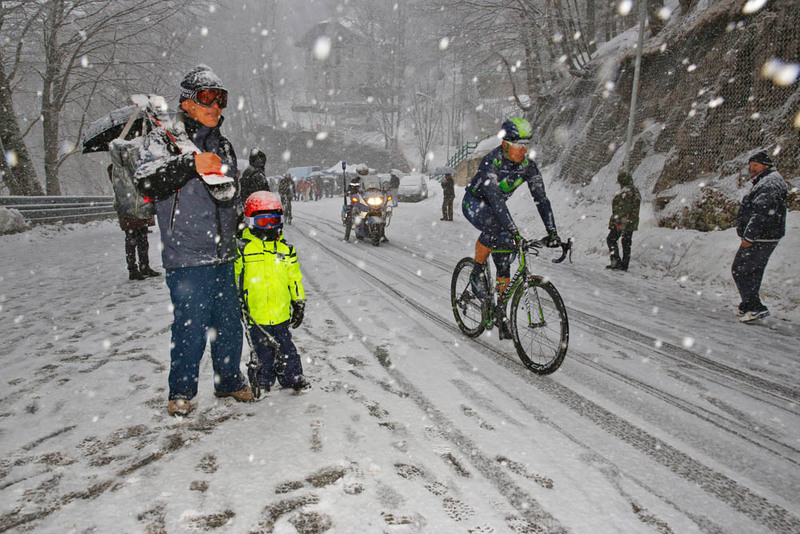 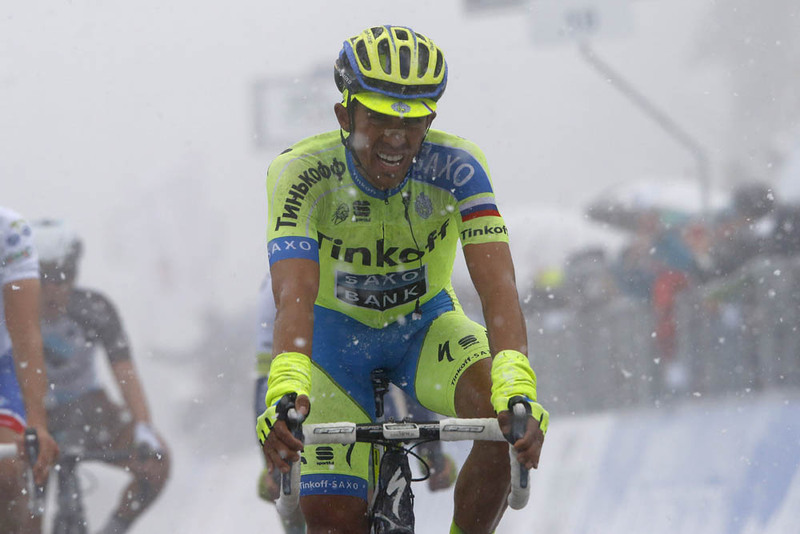 Although there was a dusting of snow on the road as Quintana crossed the line with his arms aloft, the snow actually got heavier for the gruppetto, making for a miserable haul up the mountain for the assorted collection of sprinters and domestiques. 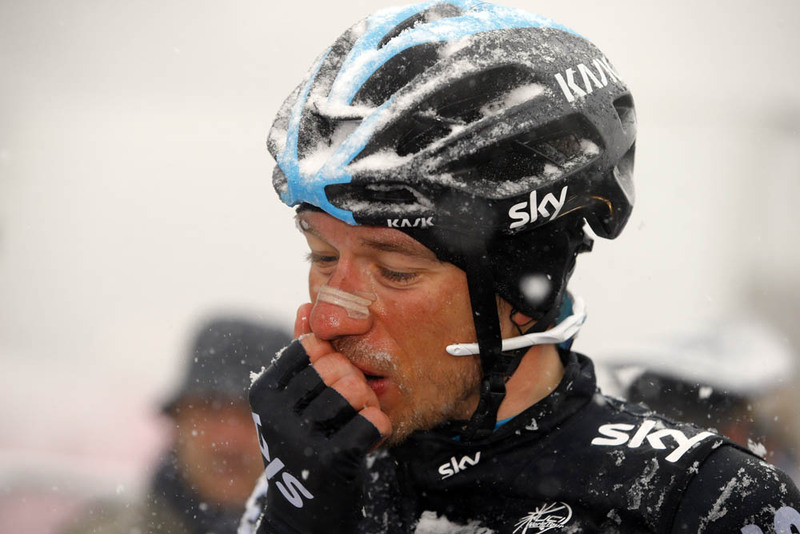 Many finished with helmets, bikes and beards laden with snow. 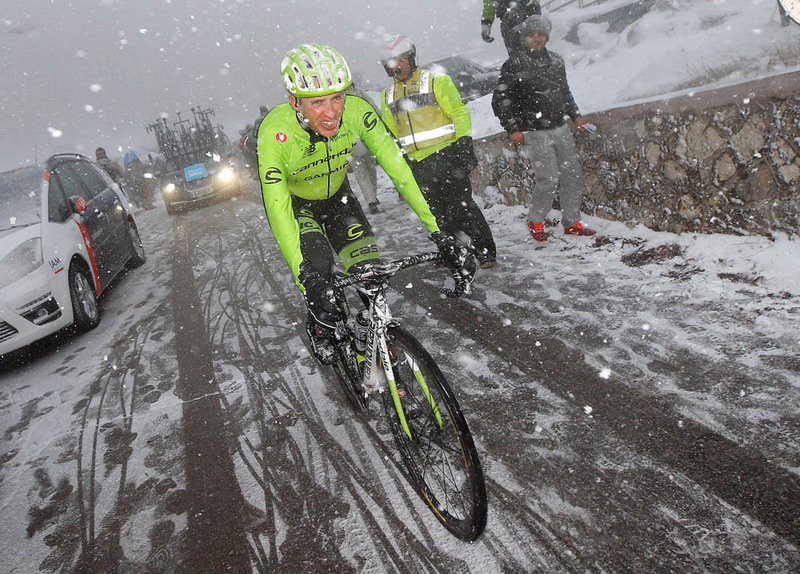 For his icy efforts, Quintana now leads the race ahead of Dutchman Bauke Mollema (Trek Factory) by 39 seconds and with two stages of the Italian WorldTour race remaining.